St. Ann’s Corner of Harm Reduction’s Syringe Access Program Manager Van Asher holds up an antidote for drugs laced with phentanyl. Photo by Joe Hirsch. The city’s plan to make Longwood home for a new safe injection site for intravenous drug users is facing resistance from residents who argue that the neighborhood is already awash in homeless shelters and social service programs, and can’t handle any more. 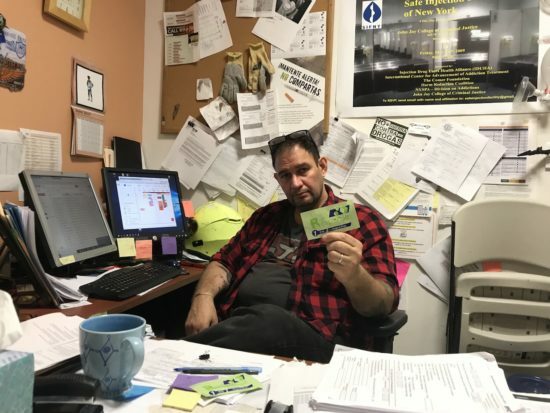 A prominent Mott Haven business booster agrees that Longwood is a bad place to put the site, and has a suggestion for the mayor: Put it in The Hub. Following the release of a report by the city’s health department earlier this month detailing the escalating toll of opioid addiction, Mayor Bill de Blasio announced that the city will open Overdose Prevention Centers pilot projects in all of the boroughs except Staten Island. Longwood is the right choice in the Bronx, health officials concluded, because acclaimed syringe access center St. Ann’s Corner of Harm Reduction on Westchester Avenue is equipped to administer that kind of program. But Community Board 2’s chairman, Robert Crespo, who lives around the corner from St. Ann’s, says that scores of drug users already linger near that facility. Bringing more users to Longwood to inject drugs—-safely or not—-will further diminish residents’ quality of life, Crespo fears. “They have their clients hanging out in the streets already. 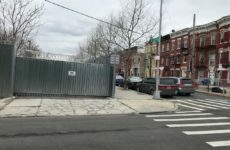 We know (a supervised injection site) is needed, but this board has done its fair share,” said Crespo, pointing out that the NYPD found 10 discarded needles during a recent sweep of Bill Rainey Park in Longwood. He added that dozens of local homeowners already frustrated with the clients St. Ann’s serves stand ready to fight the proposal. Board 2 adds that city officials have made a conscious effort to make an end-run around the community about its plans, trying once again to sneak an unpopular project past wary South Bronx residents. 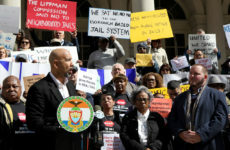 In February, the mayor announced that the city wants to build a new jail in Mott Haven, without first informing Bronx Community Board 1. Board 2 found out about the safe injection site proposal through the media on the day the mayor announced it. The mayor’s office did not respond to requests for comment from The Herald. But on the day that the city announced the plan, the executive director of the Third Avenue Business Improvement District (BID), Michael Brady, said that Mott Haven is a more sensible location for it because of the scores of drug users who already frequent the Hub’s many methadone clinics. However, even if the mayor eventually agrees on the Hub instead of Longwood, any plan will fail unless the city invests in supportive services for those who use a safe injection site, Brady cautioned. The $500,000 currently earmarked for each new facility is a fraction of what is needed, he said, pointing out that programs in Canadian and European cities have succeeded only because governments there have invested generously in wraparound support services for intravenous drug users. Available properties the city should consider include Bergen Avenue south of East 148th Street and Morris Avenue near Lincoln Hospital, he added. In April, representatives from the BID and more than 20 federal, state, city organizations faith-based groups, small businesses and the NYPD met at Metropolitan College in the Hub for a Bronx Opioid Summit, to discuss ways to combat the opioid epidemic locally. They were unaware that the mayor was weeks away from announcing that Longwood was in his sights. 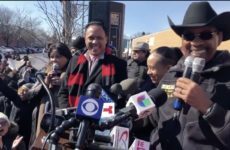 City Councilman Rafael Salamanca, Jr., who was one of the event organizers and whose district includes both locations, agreed that The Hub is a more logical site for a safe injection facility than Longwood. St. Ann’s Corner of Harm Reduction is “excited there will be a space” somewhere local, said its longtime Syringe Access Program Manager Van Asher. “If the Bronx were its own state, it would be number two nationally,” in fatal drug overdoses, he said. Asher dismissed the criticism that a safe injection site would lead to stampedes of drug users further stressing the area. “We’re not going to start a busing program,” he said. Safe injection sites are like bars because both “take the drug (and alcohol) use off the street. In addition, not a single fatal overdose has been recorded in 30 years of safe injection spaces,” around the world. Instead, users die when they shoot up alone and there is no one present to provide the antidote. Drug fatalities in the city climbed 5% between 2016 and 2017, from 1,374 to 1,441, a spike largely due to illicitly manufactured fentanyl present in whatever the drug of choice happens to be, Asher said, adding that safe injection sites would significantly lower those numbers. Currently there are no other safe injection facilities in the U.S. and Brady is hopeful that the city doesn’t blow its chance to show the rest of the nation the benefits of a well run program that can save lives.